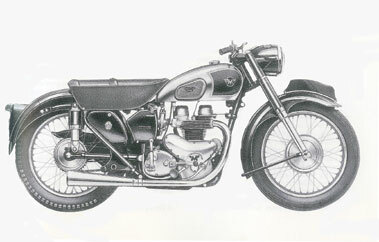 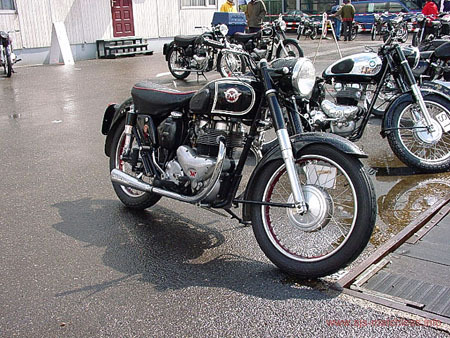 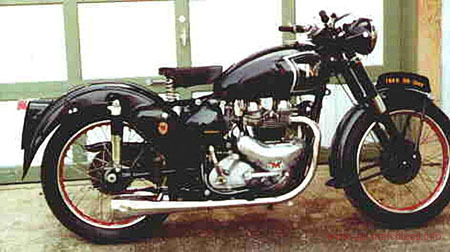 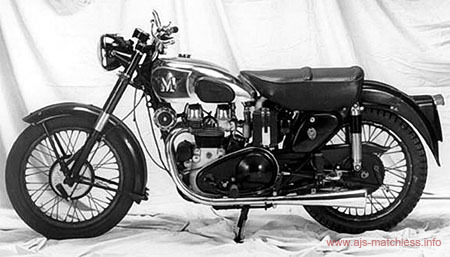 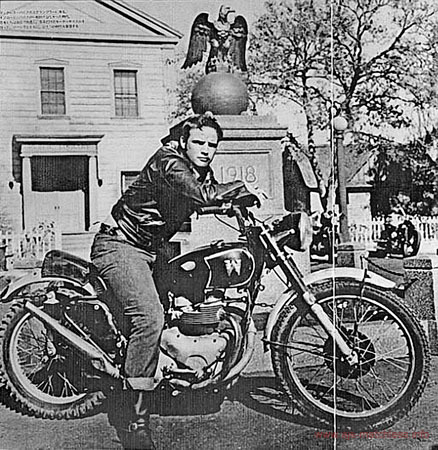 Matchless G9 1948-61 498cc ohv twin, 410lb, 60mpg, 90mph. 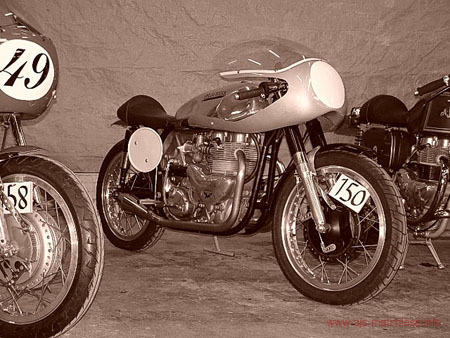 Introduced when twins were vogue. 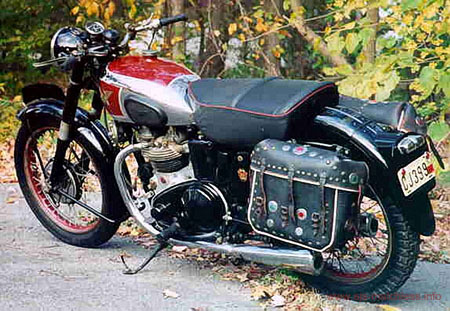 Late ones have alternator electrics & better frames. 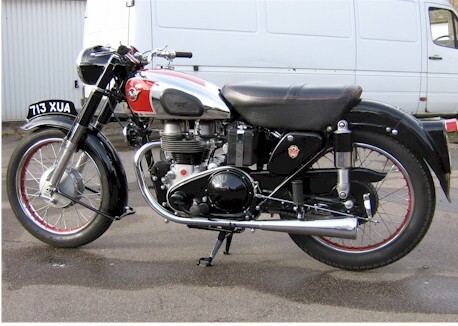 The early have odd handling characteristics & very poor brakes. 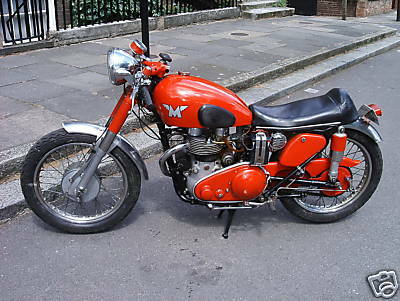 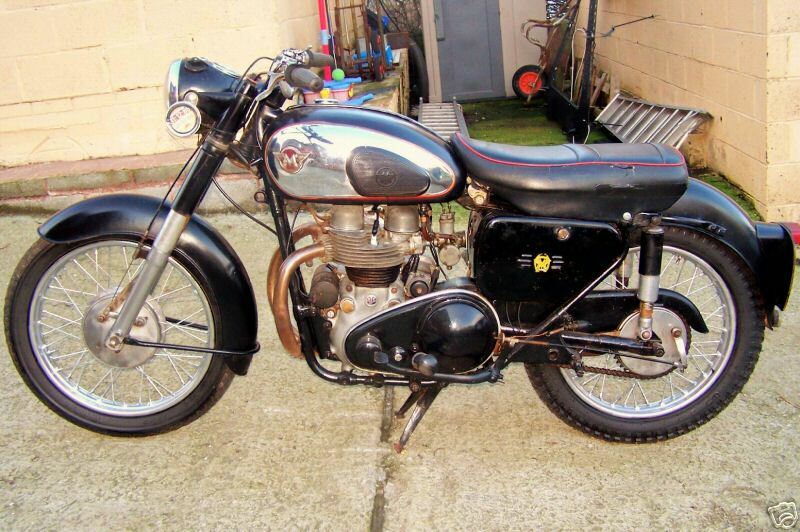 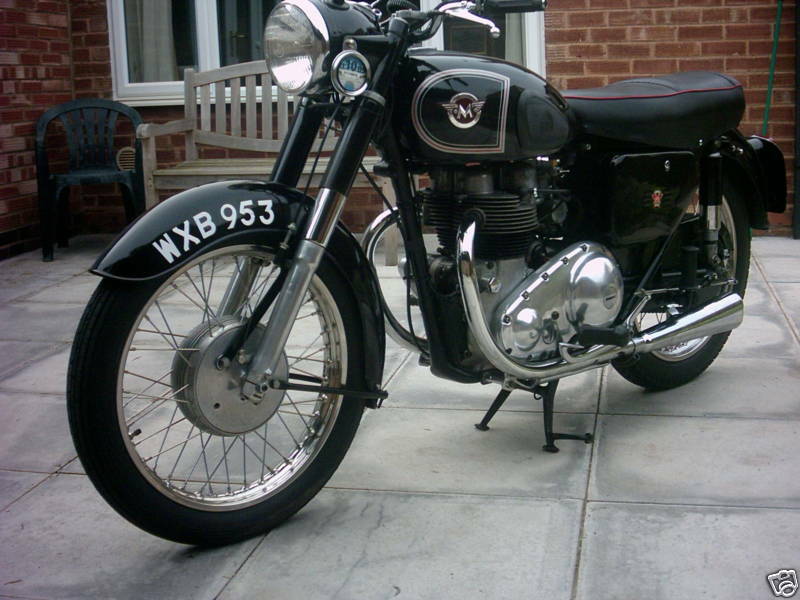 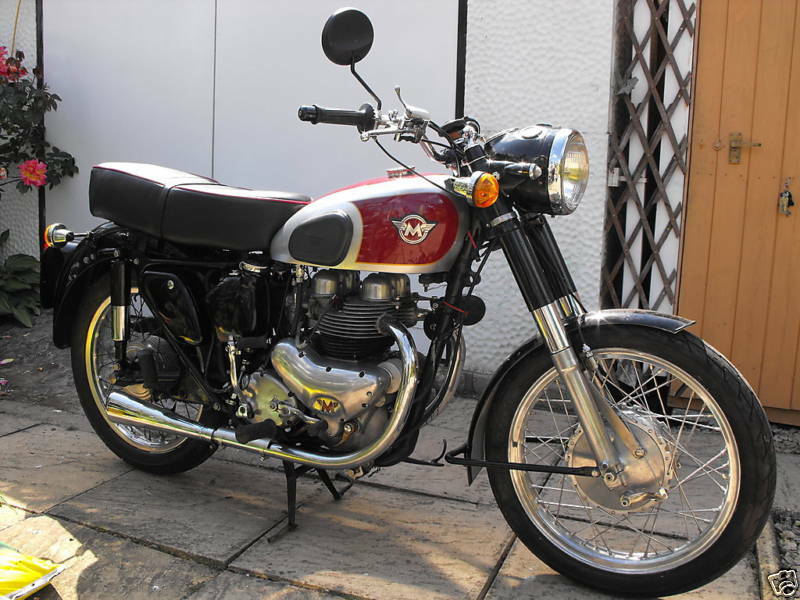 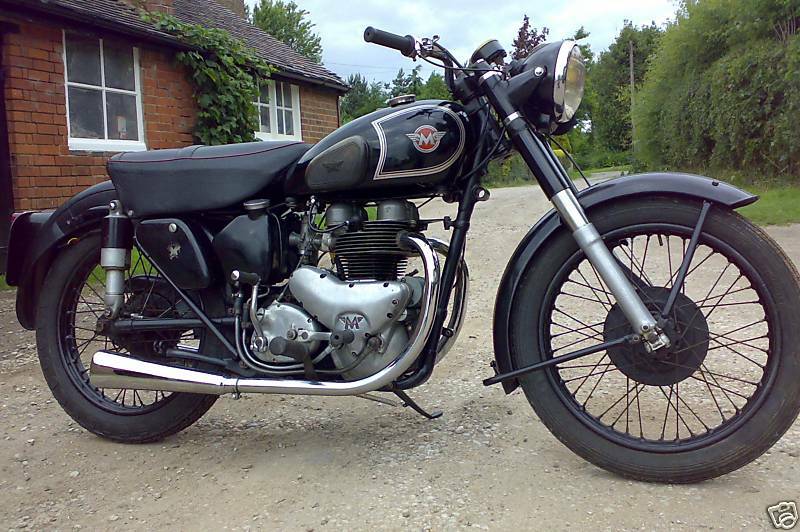 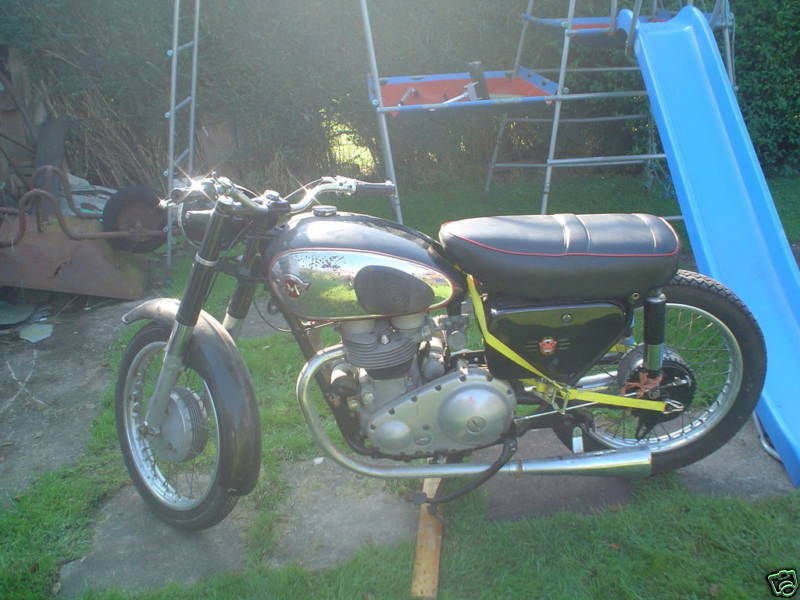 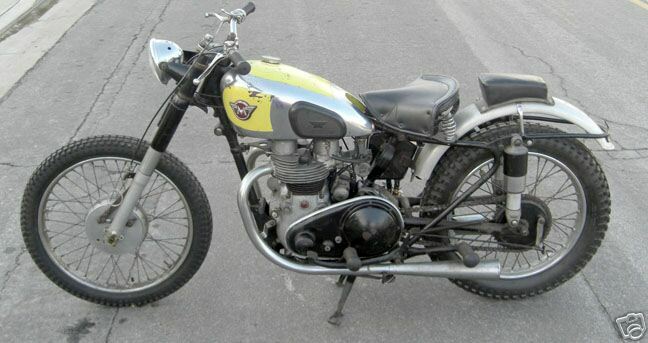 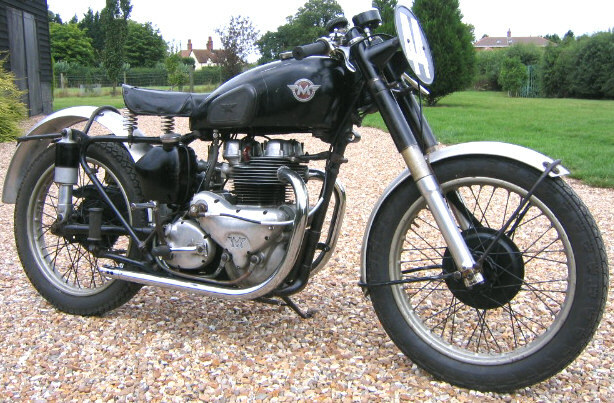 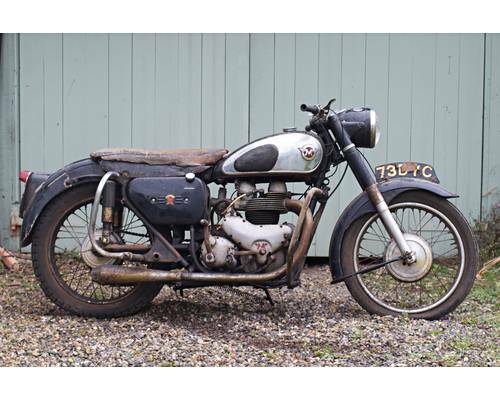 Here is a lovely old unrestored Matchless 500cc twin - the G9 "Super Clubman".